This fascinating series of literary views and interviews illuminate the coming of age of Belfast-born poet Gerald Dawe during the fifties and sixties in Northern Ireland, the literary and political worlds he discovered on moving to the Republic of Ireland in the early seventies, and his travels since, in Europe and other parts of the world, shadowed by the violent closing decade of the twentieth century and the beginning of the new century. One of the wonderful things about Gerald Dawe's work, both as a poet and as a critic, is that there's a sense in everything he writes of a kind of precision, care and attention to detail which manages to be both extraordinarily honest, and extraordinarily precise in its relation to whatever object he's writing about-whether he's evoking it as a poet or whether he's describing it as a critic-what you find continually is that quality of engagement which is the same quality you find in the poet. It's the quality of openness to the world. Gerald Dawe has published seven collections of poetry, including The Morning Train, Lake Geneva and Points West. He has also published The Proper Word: Collected Criticism and My Mother-City. He teaches at Trinity College Dublin. When I visited Galway the second time I stayed. In those days of the early 1970s, no one quaffed water from designer bottles but the bus driver used to stop, along with his passengers, at a pub in Roscommon for a couple of pints (and a whisky) before resuming the cross-border journey from Belfast to Galway. There was a border then too. Gardai, Irish defence forces, U.D.R., British soldiers, R.U.C., Customs and Excise men, and various others, whom we probably didn't see, peered out of makeshift roadside bunkers. It was a furtive time, five years of killing, bombings, reprisals, and assassinations, the razing of streets, riots, and looting, political crisis. Madness was in the air. No one really thought it would all become a way of life but in the café in Cavan (passengers changed bus services there, from Ulsterbus to C.I.E.) it felt as if life had not altered terribly much over the generations of tea and sandwiches, knowing nods and silent recognitions. But buses were now being hijacked, set on fire, stopped and searched, re-routed and bus stations had taken on a haunted, frightened aspect, surreptitiously at first and then, after the appalling destruction of Oxford Street Station in Belfast by Provo bombers, it was more than fear caught hold of glances. That bag? That box? That bicycle? That car? When the bus pulled in alongside the steps to Eamon Ceainnt Station that mid-October I felt a dizzy sense of freedom. Freedom from the dark streets of home, freedom from the ceaseless rant and rancour; freedom from the closing down of the city in which I had grown up; freedom from the thugs and bullies. There was also a feeling of having escaped, just in the nick of time. The Belfast I had left behind was of a very confused summer that included doing final university exams during the Ulster Workers' Council strike, juking through UDA barricades; several months working in the Central Library and moving across the deserted city at night to the small flat I shared with an American pal in an east Belfast estate. Eyre Square had an autumnal glow and a fresh breeze in the air. Back then the shape of the square had a very real sense of welcome to it. The houses, offices, hotels and shops seemed to set the tone for the rest of the townscape. I can't recall one tacky shop or hoarding. Many canals and bridges with high stone houses and warehouses, which, in those pre-tax incentive development days of the early 1970s, were roofless and windowless, made the city seem small and compact. I dumped my bag in the American Hotel and punctually headed to University College Galway, my first port of call, to introduce myself to my professor, Lorna Reynolds, and to the Dean, the classics scholar, 'Ma' Heavey. The walk by Moon's Corner, the post office, down to the Law Court and Library and over the Salmon Weir Bridge, stays in my mind in slow motion. Everything was starkly etched in the late afternoon, livid with light. So when I turned into the Archway of U.C.G., Padraic O Flahertaigh, the Porter's answer to my query about directions to Aras de Brun, sounded equally bewitching. I couldn't really believe my luck. Only a precarious few weeks prior, I had been stared at and finger-pointed and had taken foolish risks in the increasingly manic belief that Belfast was still an open city. My pal and I had been followed to our little flat in east Belfast. Loyalist paramilitaries had called to the door, "They're only collecting money, right?" I had worked my notice as a library assistant in the Fine Arts department of the Central Library in Belfast's Royal Avenue -- bombs to the left of us, bombs to the right, scotch-taped windows left open wide, evacuation procedures, the bomb-disposal officer's hectoring voice on the megaphone, the resigned faces of we poor joe soaps standing waiting before we could resume our lives, "after the bomb goes off". Now I was walking towards the Arts Block, with the heavenly Corrib flowing by, my feet barely touching the ground. As for Professor Reynolds, she was sitting in behind her desk, a tall spindly woman, wearing a Virginia Woolf-like hat, with an accent I couldn't quite locate. Cool but kind, formal yet interested, she asked how my journey had gone, had I found myself suitable accommodation, recommended I check out the Hardiman Library for its holdings in 19th century journals, newspapers, historical and literary texts, and that I should 'proceed to Kenny's' and see what I might find there. A brief courtesy call with Prof. Heavey, a smiling adorable woman tending to plants in her office, and I was off again, skirting the canal, the Cathedral and into Nun's Island, passed the imagined home of Joyce's Gretta in 'The Dead', passed Dominick Street, over O Brien's Bridge, and into High Street, where on a corner, stood Tom Kenny's map shop, next door to Sonny Molloy's, which faced the double doors of Kenny's Bookshop, the front shop of which I entered with the jangle of a bell. From then on, for the next twenty years that is, Kenny's became home from home, with all its transformations and expansions -- upstairs, downstairs, next door, towards Middle Street, the recall of the Abbeygate Street premises, the gallery in Salthill, -- all these developments were logged alongside my own vague journey, from hotel to rented room in Spiddal to half a house in Knocknacarra to a flat in Abbeygate Street to a bungalow in Ballindooley on the Headford Road and finally to our home in Glenrevagh in Corrandula. Kenny's was the backdrop; the fulcrum. My books were launched there, numbers of magazines edited were sent on their way; the walls of our different homes had paintings bought from Kenny's. Older artists were rediscovered, new friends made and met, strangers introduced, interviews conducted, photographs taken, luggage and messages left, drink consumed, rumours heard, first editions bought, borrowed, lost and found; afternoons spent 'perusing', evenings begun, weekends brokered, highlights installed in the memory, guests entertained, lives lived. 'Would you like some tea?' I turned from the bookshelves, William Carleton's Traits and Stories of the Irish Peasantry (two volumes, illustrations by Phiz) in my hand. 'Tea?' 'Yes' 'always have a cup of tea around this time. Lemon tea. And you can borrow that if you like'. A rare edition. It was Mrs Kenny, a conductor, behind her bureau. A rare moment. A total stranger. Hooked for life 'Yes, thanks' I said. 'Thanks' and told her briefly my story. POET AND academic Gerald Dawe, not long ago the subject of a special issue of the American journal An Sionnach, has been prolific on the home front too lately, publishing a collected essays entitled The Proper Word, a memoir of Belfast My Mother-City , a revised version of his 1978 collection Sheltering Places, a translation of Salvatore Quasimodo's early lyrics, The Night Fountain , an anthology of Irish war poetry and, best of the lot, a new book of characteristically excellent, minutely observed and interlocking poems, Points West . Here, as a sort of addendum to The Proper Word , Catching the Light collects recent reviews, memoir and interviews. The book's motley format regroups and resituates reviews in personal memoir, rather than reprinting the reviews separately; it also republishes interviews that usefully fix terms by which the poems can be read. The mix of memoir and criticism works best in " Moon's Corner ", in part a tribute to Tom Kilroy, which ends with an autobiographical tableau of a small town in the mid-1980s, a scene which begins: "A bunch of kids pump pinball machines in one of those anonymous hamburger joints. It was a cool damp evening without a cloud in the sky. The sound of a rock band blared out the door. A police car patrolled down the square high above which stood a statue of Christ the King. Most of the other shops and houses of the main street were shut and dark . . ."
Here, as in many of the pieces which return to Belfast (particularly those on Van Morrison and his first "naive" encounters with poetry), there is feeling and precision in his exploration of memory and how we inhabit, and are inhabited by, places. However, many of the reviews and related travel pieces suffer from the restriction of their original form: over before they've properly begun, they make interesting connections, but omit the details and arguments Dawe has expanded on elsewhere. An exception is his review of Michael Hartnett's The Killing of Dreams : here Dawe reports on the "critical vacuum" into which Hartnett's books (and, he argues, much contemporary poetry) disappears. He then replaces that vacuum with the argument-starting (and, I think, correct) contention that Hartnett's later books ironise and reject the kind of identity politics he had previously seemed to court in, say, A Farewell to English. Similar insights stud the interviews that round out the book. Interviewed between 1995 and 2003, when he was writing the poems of Heart of Hearts, The Morning Train and Lake Geneva, Dawe returns to how his imagination was fostered alike by his happy, outward-looking adolescence and the terrible confining arrival of the Troubles. The interviews also chart the way these recent books have consciously chosen European or, in Points West, American locations, as if to follow through on his consistent critique of the insularity of the Irish public sphere. His internationalism is also clear in his consistent choice of Eugenio Montale and Robert Lowell as exemplary writers, as creators of poems with "the living balance" to which his own work aspires. Dawe recalls, in several of these pieces, sending his student poems to Michael Longley who, in response, sent the young poet a list of recommended reading, a primer which Dawe credits with educating him about the modern poem. 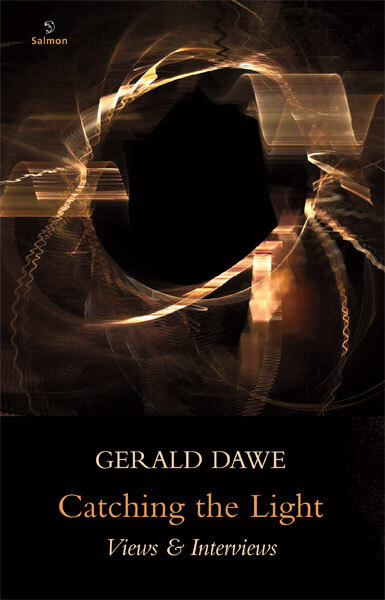 This book, with its recommendations and its eye for unusual angles and conjunctions, is itself a sort of primer for contemporary poetry, full of examples of how to write in the modern world, and precepts which have been fruitful and decisive for Dawe's own creative work. John McAuliffe's poetry collection Next Door was published by The Gallery Press last year. He co-directs the Centre for New Writing at the University of Manchester and edits the The Manchester Review. Dawe's prose is a convincing argument for insisting that all writers become poets first, says Sean McMahon. This poet's eye, pace Shakespeare's MND, is not here in a fine frenzy rolling but observant, wise and even therapeutic. Born in 1952 he is old enough to remember a Belfast tolerant, diverse and optimistic - before the inevitable curse of built-in sectarianism destroyed that unselfconscious social ease. The subtitle of his book is a literal description: urban, urbane autobiography, portraits of fellow writers - like Thomas Kilroy and Sassoon and travel writing in which, for example, Amsterdam is described as "like a child's toy house that varies between the nightmarish and the self-engrossed". The poet's eye again - deadly on target - convincing us that in order to write prose, one should be made to be a poet first. The interviews, most notably with John Brown, himself a poet, from the exhaustive In the Chair: Interviews with Poets from the North of Ireland (2002) and with Alan Titley for Poetry Ireland act as grouting, filling in the gaps left by the broad strokes of the first part. The hegira from Belfast to Galway via windswept NUU as described here, is breathtaking and surely convincing that no part of Ireland is alien to any Irishman, from whatever part. Paddy Campbell, once the funniest Irishmen alive, mockingly entitled one of his books Short Trots with a Cultured Mind. There is no mockery here. It describes Catching the Light exactly and 'Summer Journal', the poetic tribute to MacNeice that Dawe gives us, sums up the argument of his book perfectly.